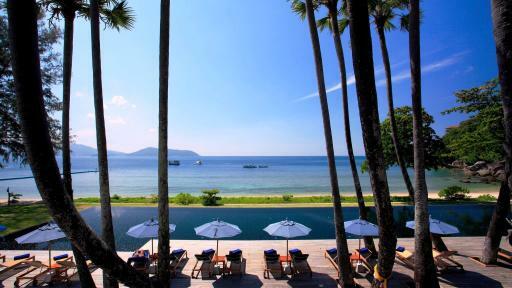 Set on Phuket's west coast, Andara Resort & Villas is nestled on a lush green hillside rising up from the Andaman Sea. Conveniently located just a short stroll from the soft white sand and brilliant blue waters of Kamala Beach, the resort is also close to a range of shopping, dining and entertainment options. 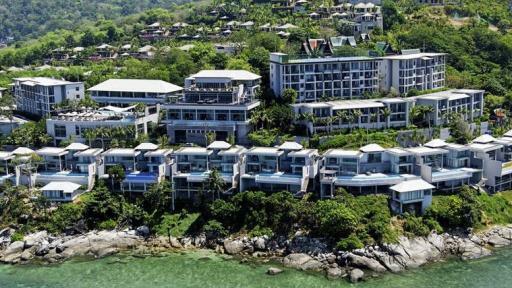 Situated on the stunning shores of beautiful Kamala Beach, Cape Sienna Hotel and Villas are conveniently located just 20 minutes from Phuket's International Airport. Enjoying spectacular views of Kamala Beach and the Andaman Sea, the resort is also close to 5 golf courses and a number of bars and restaurants. Conveniently located close to the International Airport and surrounded by a range of tourist attractions and activities, Kamala Beach Resort (a Sunprime Resort) offers an excellent choice of accommodation options with beautiful views and an impressive range of onsite leisure facilities including 4 swimming pools, a dive shop and more. Kamala Beach Resort welcomes guests 16 years of age and over. Located on Kamala Bay's pristine beachfront, Sunwing Kamala Beach offers a great range of modern accommodation to choose from. Catering for couples and families large and small, the resort enjoys an excellent range of facilities and is close to a wide range of local activities and attractions. Suited to families and couples, Swissotel Resort Phuket Kamala Beach is positioned just a quick drive from the tranquil waters and sandy beach of Kamala, and approximately a 50 minute drive from Phuket International Airport. Featuring a range of accommodation options and great resort facilities, Swissotel Resort Phuket Kamala Beach is a fantastic choice for a quieter Phuket holiday. 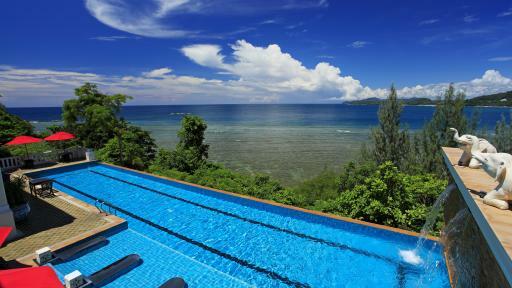 This four star beachfront Phuket accommodation boasts a stunning location in Kamala on the private Nakalay Bay. Thavorn Beach Village Resort & Spa is home to 185 rooms that cater to the needs of couples and small families with most boasting amazing views over the bay. 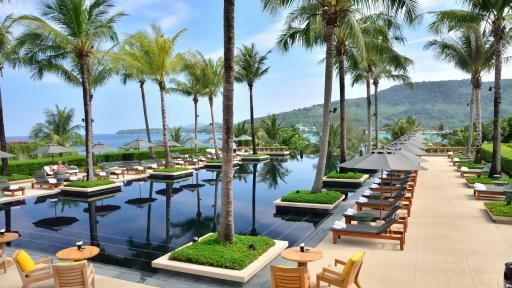 Facilities at this Phuket resort including swimming pools, a selection of restaurants & bars, a top class day spa, free WiFi Internet, fitness centre and much more. 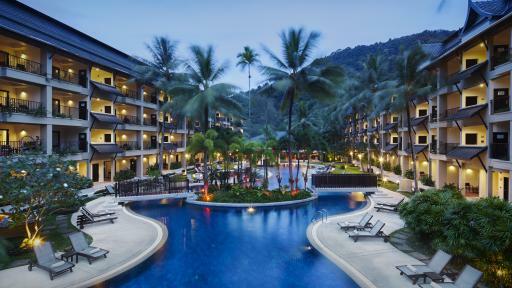 Set amid 12 acres of tropical gardens, The Aquamarine Resort and Villa rests on a flourishing hillside of Kamala Beach. Offering breathtaking views of the beach, widely regarded as one of Phuket's most beautiful, the resort looks out over the crystal waters of the Andaman Sea. Offering beautiful beachfront accommodation, The Bell Pool Villa Resort is 45 minutes from Phuket's International Airport. Located just a 2 minute shuttle ride from the beautiful stretch of soft white sand known as Kamala Beach, the resort enjoys stunning views of the Andaman Sea. At The Naka Phuket guest can enjoy a relaxing holiday or memorable honeymoon while staying in one of 94 villas all which offer a private pool and ocean views. 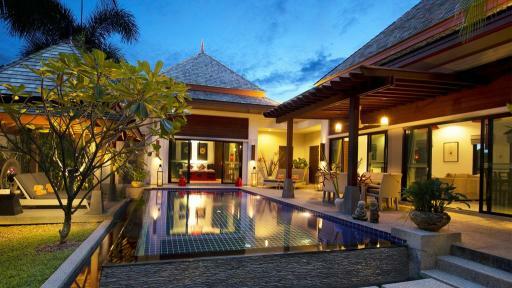 This Phuket accommodation boasts luxury villas plus an array of facilities for guests including a swimming pool that overlooks the beach, a day spa that is set over 5 levels, a restaurant & bar, parking, boutique, WiFi internet and a shuttle service. 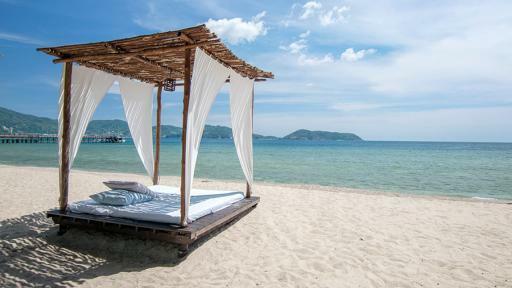 Patong Beach plus an array of Phuket attractions are all within easy reach of The Naka Phuket.